Branding – it’s a well known term everyone has heard of that covers many aspects of marketing – which we’ve delved into with some of our blog articles over the years. But this infographic I’ve designed is I hope, a more simple, visual explanation into what a brand is; what a brand identity is; and what a logo is – including the different types of a brand logo. 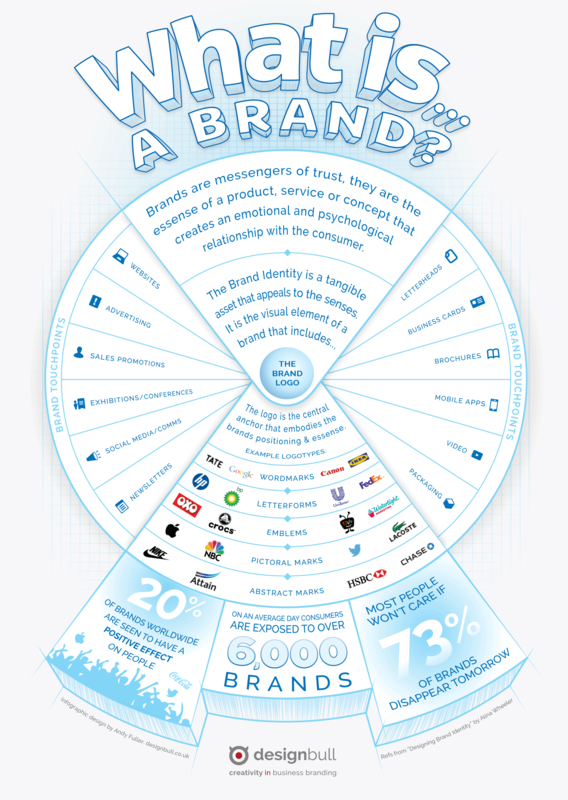 This entry was posted in Branding and tagged brand, brand identity, famous logos, infographic.